The Federation in the western states was created in 1944 in Modesto, California. At that time, six choirs gathered with the Philoptochos of those parishes through the vision of the Very Reverend Naoum Nitsiotis and with the support of Archbishop Athenagoras, both of blessed memory. The basic concern of Father Nitsiotis was to unite the youth to stimulate interest in their common heritage, and that included music and the church. 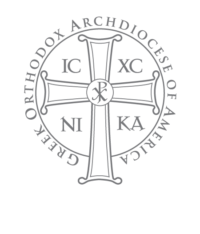 The event marked the first historic gathering and the formation of the Federation of Greek Orthodox Church Choirs of the Western States, which is now known as the Greek Orthodox Metropolis of San Francisco Church Music Federation. Since that time, the Federation has existed as a major ministry in the Metropolis, with the exception of a short hiatus in the mid-1960s. The western states of our Archdiocese have been thriving with an active music ministry program, led by some of the most talented and noteworthy composers across the United States. The Federation elected Mrs. Helen Gonis to serve as the first president of the organization. The group met in 1945 in Sacramento with nearly 400 young people. The next convention took place in 1946 in San Francisco, when the constitution of the Federation was ratified. Initially, a competition was held between the choirs. Each parish was assigned to sing a portion of the Divine Liturgy. The practice ceased in 1949 because it was decided the combined Federation choirs should sing as a group at future conventions. One of the important figures in the development of Liturgical music was Dr. Frank Desby. Frank spent some of his early years in Greece. His exposure to the monks singing Byzantine chant made a deep impression on him, which eventually led to his formal study of chant and his monumental work in choral music and chant transcription for the Greek Orthodox Church. A pivotal time in Orthodox Church music came with the 1951 publication of Desby’s The Choral Music to the Divine Liturgy for Mixed Voices, now a “standard” for many choirs in the Archdiocese. Other composers soon followed in Desby’s footsteps, including Dr. Theodore Bogdanos, Dr. Tikey Zes, Steven Cardiasmenos and Fr. Michael Pallad. Perecles Phillips (of blessed memory) of Oakland, California, revived the Federation in the early 1970s. His leadership and enthusiasm served as a launching point for the Federation. Through Phillips’ diligent efforts, the Federation began to thrive again. More importantly, it began to once again serve as a primary ministry for the Diocese. Until 1975, the Federation continued as a partner with what is now known as the Denver Diocese. At that time, the two organizations divided because of the expansiveness of the geographic area, but continued their individual ministries. In 1988, Michael Captain (of blessed memory) of Redondo Beach was elected President of the Federation. His 10-year service happened during a time of considerable growth and change. The Federation’s focus on choirs was expanded to include Youth Choirs, Sunday School teachers, chanters and organists. A comprehensive Music Ministry program was developed and implemented with the support and encouragement of +His Eminence Metropolitan Anthony. The program has helped continue the rich tradition of church music in our Metropolis. The annual Federation conference now includes three vital components: Adult Choir, Youth Choir and Byzantine Chant Choir. These three programs continue to develop and provide promise for the future. A significant amount of music also has been developed in English to respond to the growing need for a better understanding of the beautiful theology in our rich music tradition. The Federation was blessed with the spiritual guidance and leadership of +His Eminence Metropolitan Anthony from 1979 – 2004. His untimely passing was a sad time in the life of our church, but also brought a strong reminder of the challenges he placed before us to boldly expand our ministry and continue our tradition of preserving the beautiful Byzantine musical heritage. 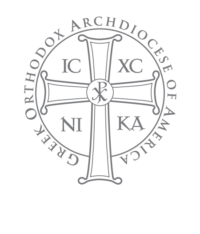 Following the death of His Eminence Metropolitan Anthony, Bishop Gerasimos of Krateia was elected on February 22, 2005 by the Holy and Sacred Synod of the Ecumenical Patriarchate to be the new Metropolitan of San Francisco. On April 2, 2005, His Eminence Archbishop Demetrios of America presided over the Enthronement Ceremony at the Ascension Cathedral, Oakland. His Eminence Metropolitan Gerasimos has challenged the Federation to incorporate more youth in the choirs and keep young people involved in the life of the Church. He has also reiterated the importance of choirs in the divine services, as well as chanters and congregational singing. From 1999-2007, the Federation was led by President Kristen Bruskas of Holy Trinity Cathedral in Phoenix, Arizona. Kristen previously had been involved in virtually every aspect of the Federation. Under her presidency, the Federation continued its mission to organize and unite the church musicians of the Metropolis of San Francisco. Kristen’s special gifts of leadership, musicianship and vision enabled the Federation to embark on its significant Strategic Planning Initiative which will bear fruit for many years to come. In 2007, Kristen “passed the baton” to another longtime Federation officer, Kathy Loukatos-Meck. As President, Kathy has continued Kristen’s efforts with the Strategic Plan, leading to its successful completion, and she is now focusing on new initiatives to get the youth more actively involved in music ministry. Kathy also has brought the Federation’s regions and administrative posts into alignment with those of the Metropolis, i.e., splitting the large Southern California area into two regions with two regional administrators for more effective leadership. The current president, Mrs. Elizabeth Levy, was elected to her office in 2013. Mrs. Levy is an experienced Executive Board member having last held the position of Vice President and is currently leading the Executive Board in a number of initiatives to make the organization a more fully functioning ministry of the Metropolis.